I think it's about time that I host a giveaway! My first giveaway on this blog was held last December, and since then my followers have tripled and I've also been posting a lot more. I am so excited to be featuring a great business and being able to reward y'all at the same time! I watched a helpful video on Rachel's Lilla Rose website to decide which size was best for me, which ended up being medium since I have very thick hair. She then surprised me with a beautiful clip in the medium size. Below is a picture of me wearing my clip in the popular half-up style! 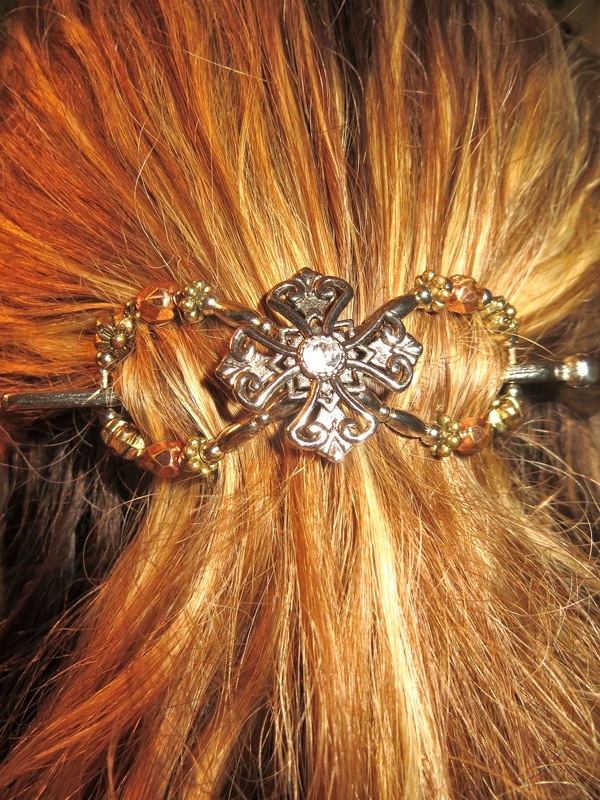 I love my new flexi clip and I'll defintely be sporting it for work this summer and school next semester! I'm sure that all of you will enjoy Lilla Rose as much as I did, so enter the giveaway below!! This giveaway will be up until Saturday, June 10th, 2013. For most of next week I'll be on vacation in Las Vegas and won't be posting, so I wanted to get this up now for y'all to have something to enjoy while I'm gone! I also have two wonderful guest posts lined up for next week as a bonus treat. Hope that you're all enjoying your Friday! It's a BEAUTIFUL and unusually warm day in Maine with temperatures in the low 90s! Maine weather truly is crazy, our Memorial day weekend was chilly and rainy with temperatures in the 40s... and now it's hotter than it usually gets in the middle of summer! I'm not complaining though- I'm going to soak up the sun and head to the beach with some high school friends! I visited her website :) Thanks so much for this opportunity to win :) Its gorgeous. I would pick Who's hoo? or Dreamcatcher(I know it's over the price limit) in medium. Or Cameo Appearance in small. Thanks for the giveaway! I visited the website... I love all of them! It's so hard to choose :) hmmm... Rosey Heart or Cameo Appearance, most likely. Those are all so cute! The Hawaiian Pink Flower clip is probably my favorite. They are all adorable! 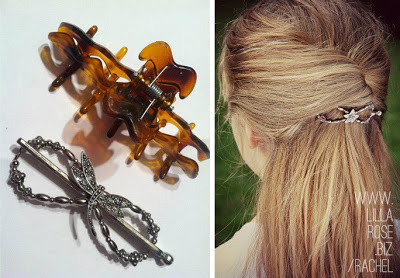 And exactly the type of thing I need for my hair! I have a lot of baby-fine hair, but it's also long enough now to just hit my lower back! I have such a hard time keeping it up in a bun, and my ponytail is long enough to be in the way! I really like all of them, but and leaning towards the Extra Small Cameo Appearance (shockingly, my ponytail circumference is exactly that of an XS). Thanks for sharing this great site, and for the giveaway! There were some pretty awesome clips on there, I would have to say the fascinating and fun small clip. So adorable! I simply love Lilla Rose... it's so hard to choose a favorite! I really like the medium flexi clip called "Tree of Life". HEALTHY chocolate chip cookie cake. Ramblings on purity in the high school years. Continue to be dazzled by ShoeDazzle! First year of college = DONE! (Hilarious) lessons learned from my first crush. The Last Hurrah // Spring Formal 2013! On closure and guarding hearts.